A New Hampshire Driving Record is maintained by the New Hampshire Department of Motor Vehicles. Every motorist with a driver’s license will have a record on file containing information about their driving history. Checking this record periodically is advisable as this will help drivers to be cognizant of exactly what is contained on their reports. If there is any inaccurate information displayed there, this can have adverse effects on the rate paid for insurance. Negative information found on an NH DMV license record can also affect an individual’s ability to obtain certain types of employment. A New Hampshire driver with an official driver’s license has a driving record that is maintained and altered whenever there is new information to report. If an accident takes place or points are added to the license due to an infraction, all of this information gets added to the report on file with the DMV. By checking your report on a regular basis, you can find out if there are any inaccuracies reported there. Any negative reportings displayed on your New Hampshire driving abstract can restrict you from working as a commercial driver in addition to causing your insurance rates to increase. A New Hampshire DMV record is made available to holders of both commercial and standard driver’s licenses as well as holders of learner’s permits. What is on my NH DMV license history? An NH MVR report includes a comprehensive history of your entire driving record. This includes any accidents even if they took place many years ago. 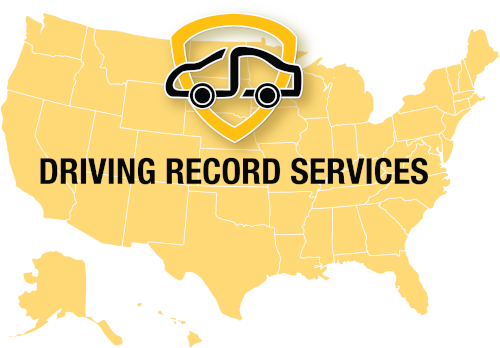 If you are wondering how to get your NH driving record, you can order NH driving record by email as the fastest and most direct route. How many points are on my NH driving record? When obtaining an NH DMV license history, the total number of points amassed on a license by the driver will be displayed there. There are certain instances where the total number of points on record with the NH Department of Motor Vehicles is incorrect. When this occurs, the driver is within their right to request an update on their NH DMV abstract. How Do NH DMV license points Affect Me? Drivers who are concerned about how NH DMV license points affect them can benefit from learning how the point system works. However, the first step is to check license points in New Hampshire by requesting a copy of the New Hampshire driver history. The NH DMV maintains complete and official records regarding how many points have been amassed on a license in a set time frame. If a driver has more than the allotted total number of points, this could result in license suspension or revocation. In New Hampshire, suspensions vary based on how old the driver is. Drivers who are concerned about the number of points on their New Hampshire driver’s license can order a copy of their driver license record in New Hampshire. This record will display all of the pertinent facts relative to a motorist’s driving history. They will be able to see how many points there are on their driving record and what the status of their driver’s license is. We can provide you with a comprehensive copy of your New Hampshire DMV driving history. Just fill out the short request form in order to securely order your NH driving history report by email. If you have inaccurate points notated on your DMV record, you can request to have them removed. This is done at your local DMV office where you can provide the necessary paperwork to dispute the points that were added to your NH MVR. Additionally, you can enroll in a defensive driving class in order to have at least three points removed from your license. Why Check Your New Hampshire Driving Record? If you are in the market for a new job, your potential employer may access a copy of your New Hampshire driving record which is on file at the Division of Motor Vehicles office. Even if the job doesn’t involve driving, a potential employer may still need to access the records for character proof and to see how responsible you are. Being aware of what is on your report before your employer does will help you be prepared for any unwanted surprises. A primary reason to check your New Hampshire driving record is to access your NH DUI report. This is a section of your overall driving history record and contains a listing of all DUI offenses. The New Hampshire Division of Motor Vehicles provides a certified driving record that includes information about DUI criminal records. A driver may need these records in a variety of different circumstances. Another reason to check your driving history is to find out about any traffic violations listed there. If there are inaccuracies regarding the traffic violations on your record, you can have these updated by the New Hampshire Division of Motor Vehicles. If you have a large number of offenses and violations on your driving record, this could cause your insurance rates to go up. You can check your New Hampshire driving record to find out if there is any adverse information affecting your insurance rates. How do I get my NH driving record? If you are wondering how to pull your New Hampshire driving record, you can obtain a complete copy of your driving record online. Just by filling out our simple online form, you can have access to view your complete driving record as reported by the New Hampshire Division of Motor Vehicles. When you order your driving record with 4safedrivers.com, you can have a copy of your NH driving abstract delivered to you via email. The process takes only a few minutes and allows you to get a copy of your driving history within the same day. Our driver license record service is straightforward and convenient and will provide you with a copy of your New Hampshire DMV record without the long wait times. The Division of Motor Vehicles of New Hampshire can provide a certified NH driving record by mail, however, we provide the same record as they do in a much shorter period of time by email. The same data that is contained in the report is sourced from the DMV’s records so you can be sure of the accuracy of your report.